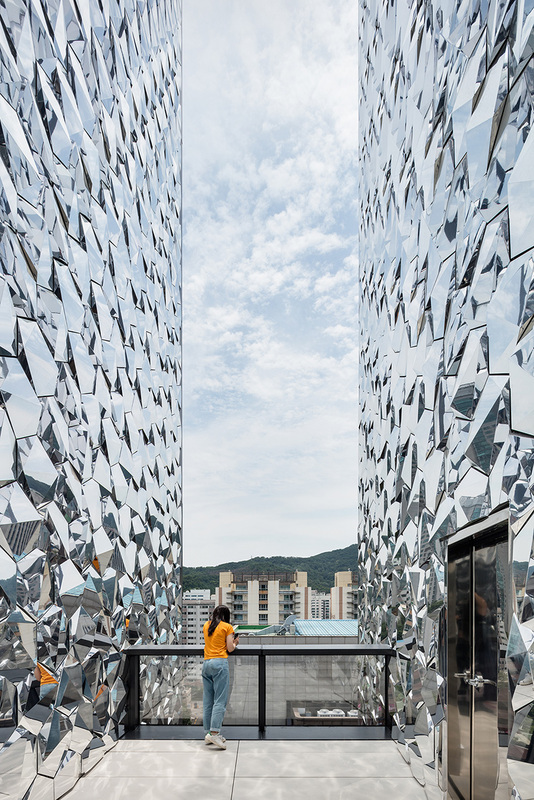 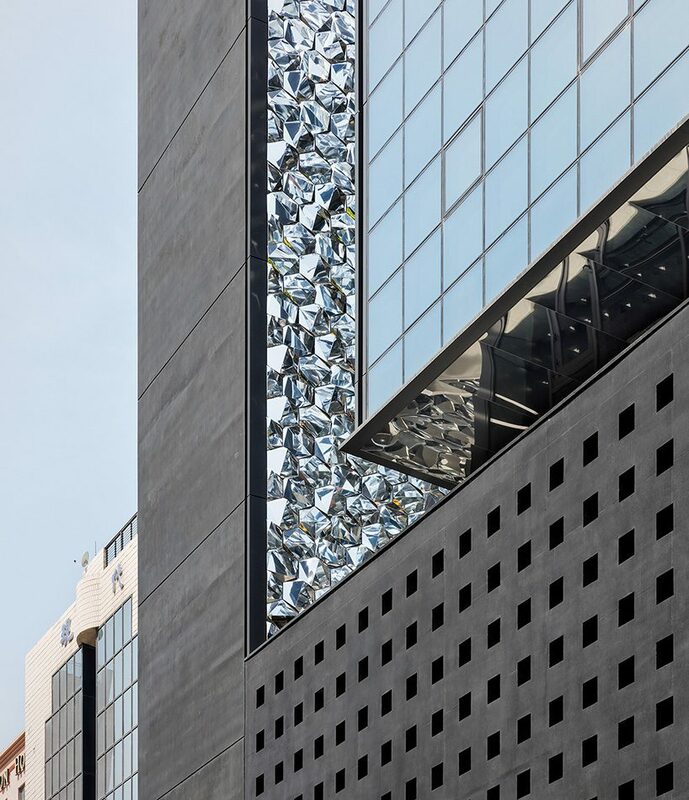 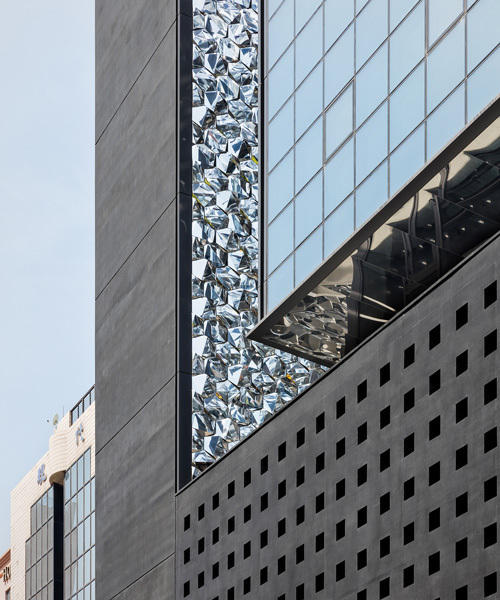 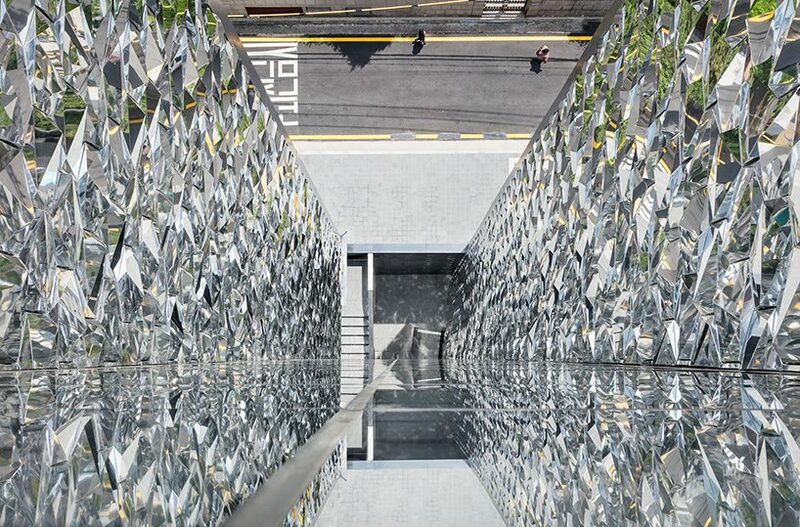 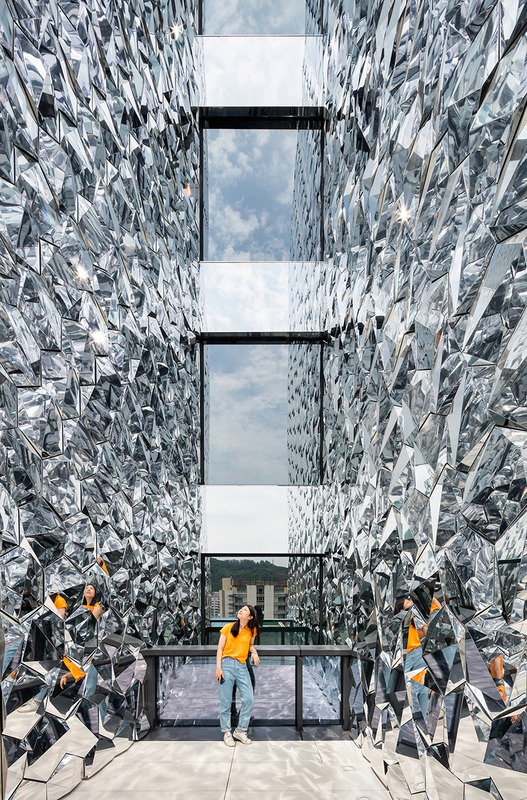 reflecting images of seoul‘s seocho-gu district, the illusion by local architecture office OBBA is an office tower built with exposed dark concrete and clad partly in hexagonal metal mirror panels. 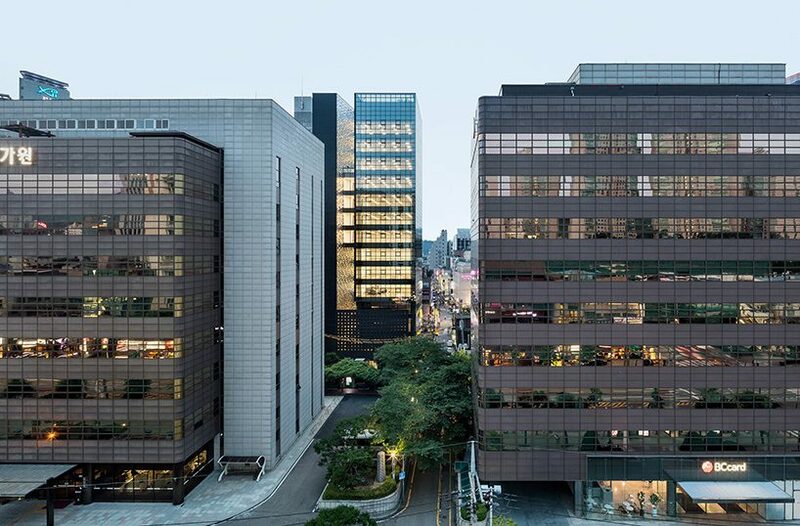 deviating from the monotonous box typology of traditional office buildings, the tower has an H-shaped plane configuration that bridges the core and program zones. 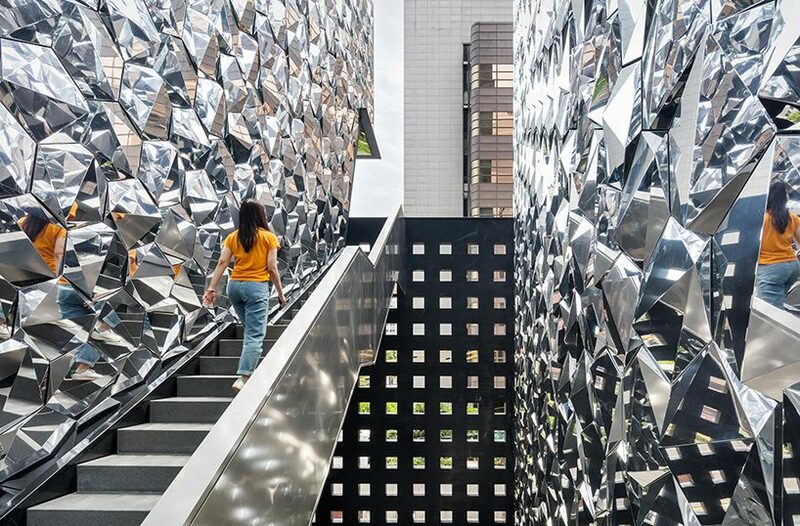 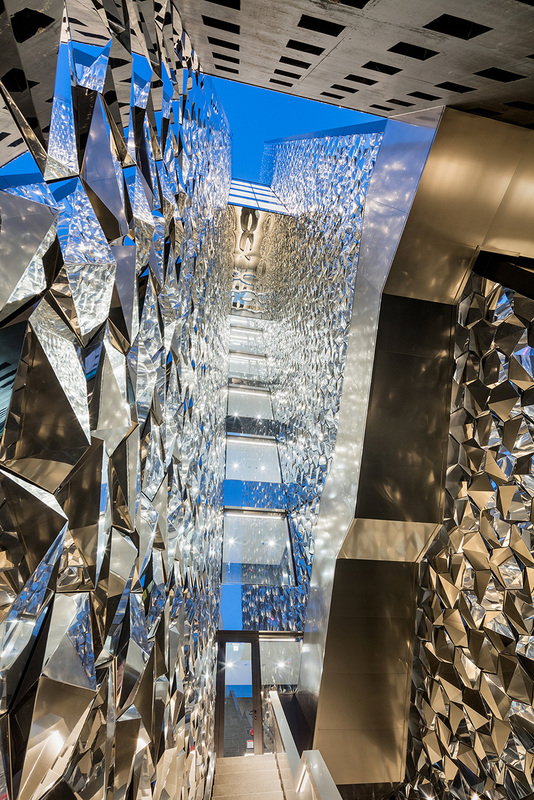 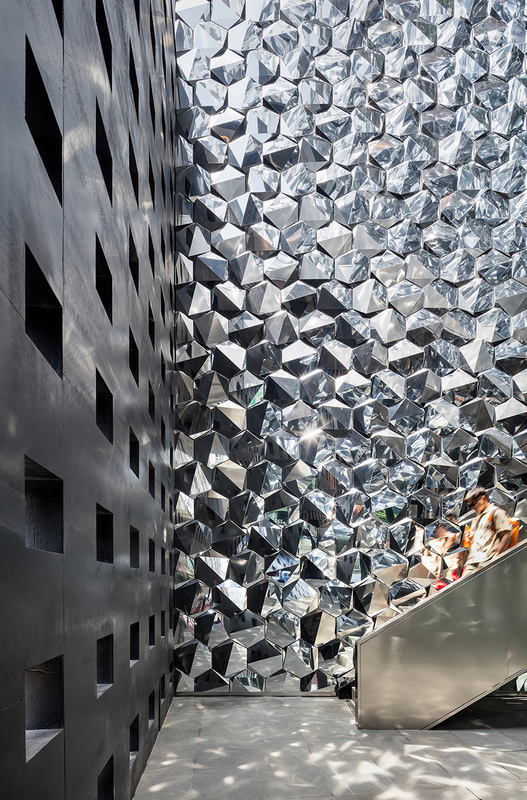 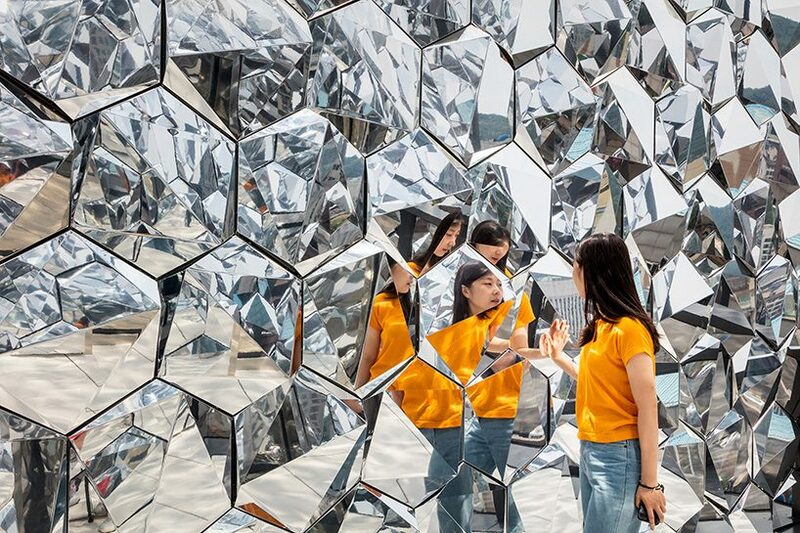 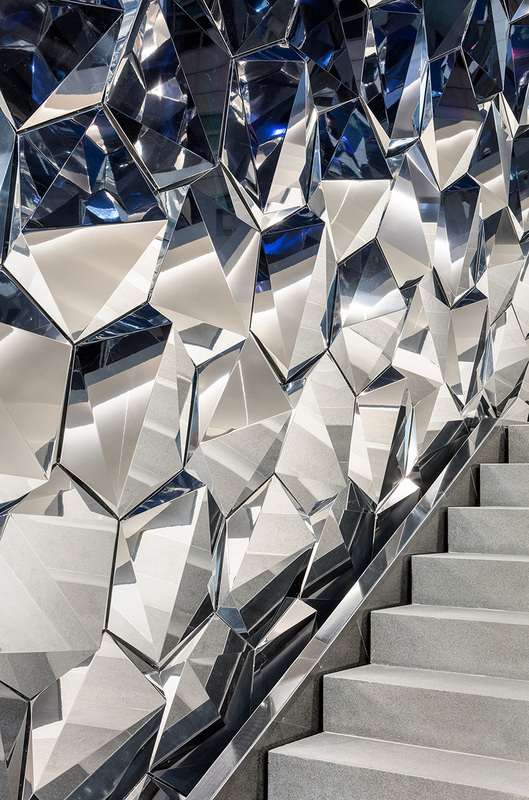 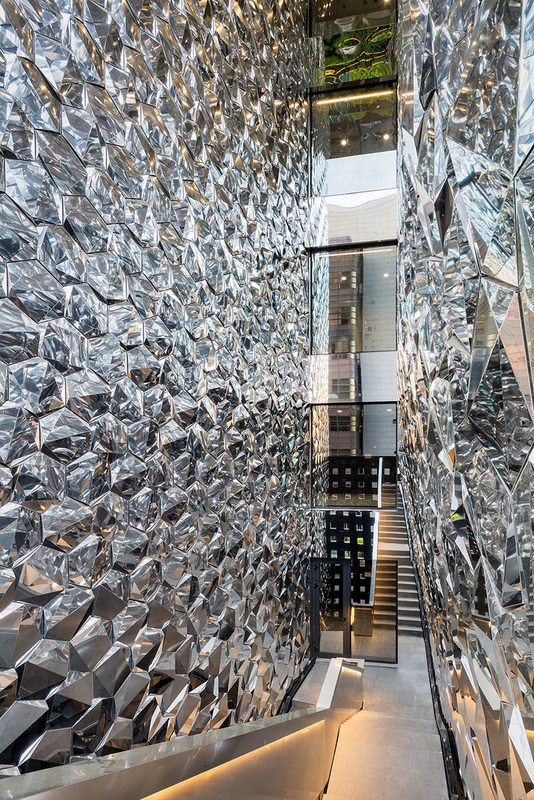 the fragmented panels are applied to the walls between the two, providing a unique visual experience by amplifying the presence of various objects in the space. 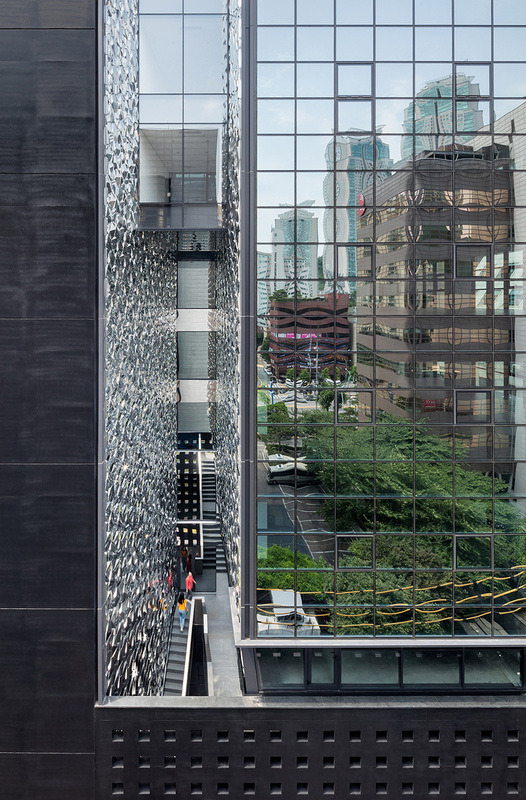 OBBA has implemented a food & beverage program up to the fourth floor to facilitate the flow of people, and developed the workspace areas within a rectangular glass box from the fifth to the fifteenth floor. 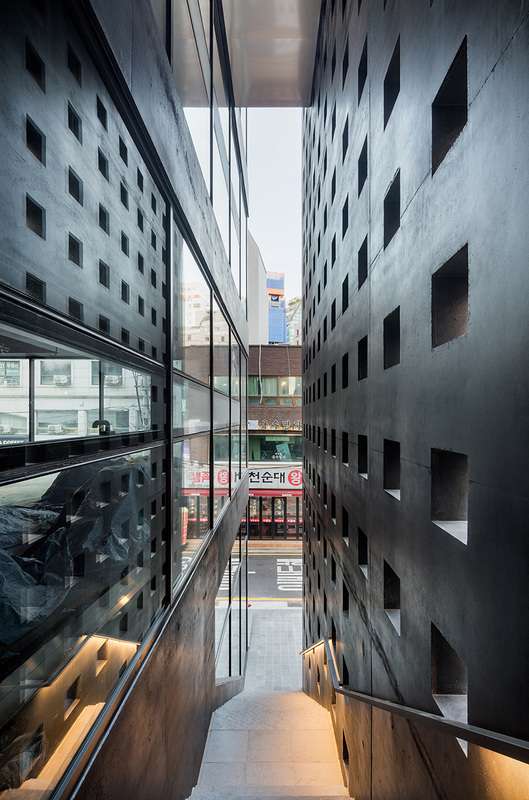 from the elevation and section views, the gridded glass box seems to be floating on top of the L-shaped, dark-concrete block. 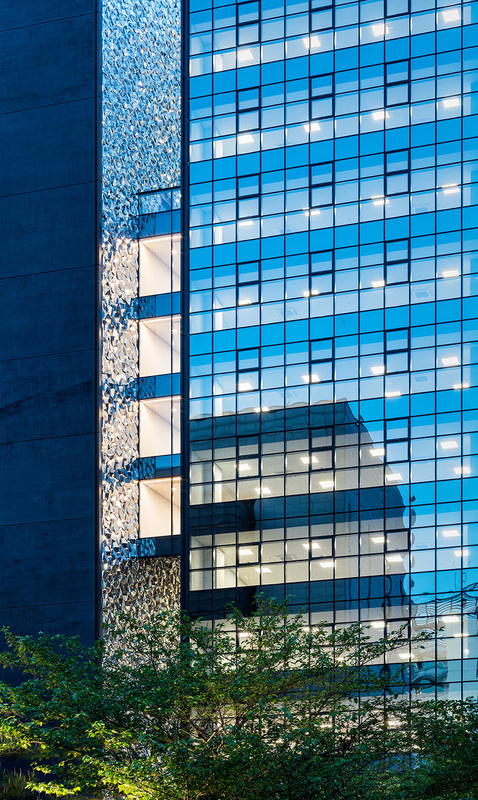 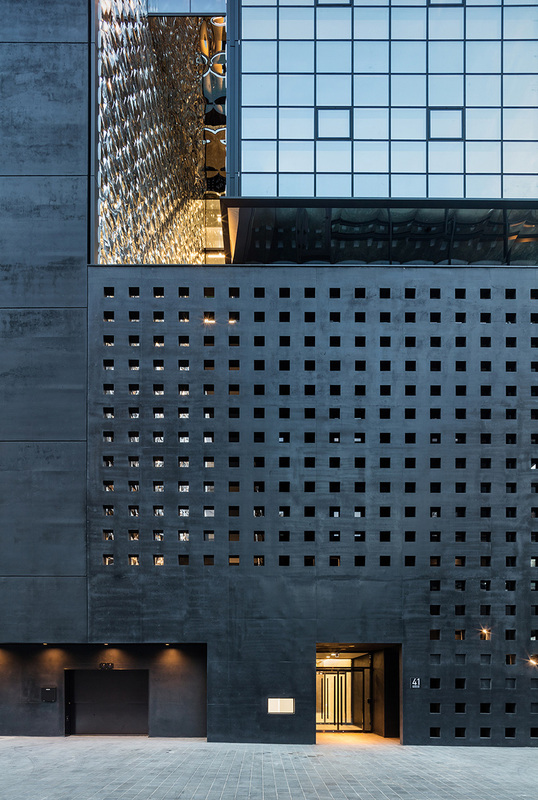 the shorter part of the L-shaped block, which covers up to the forth floor, is developed as a perforated wall that allows more natural light to enter the space, creating more reflections through the metal panels. 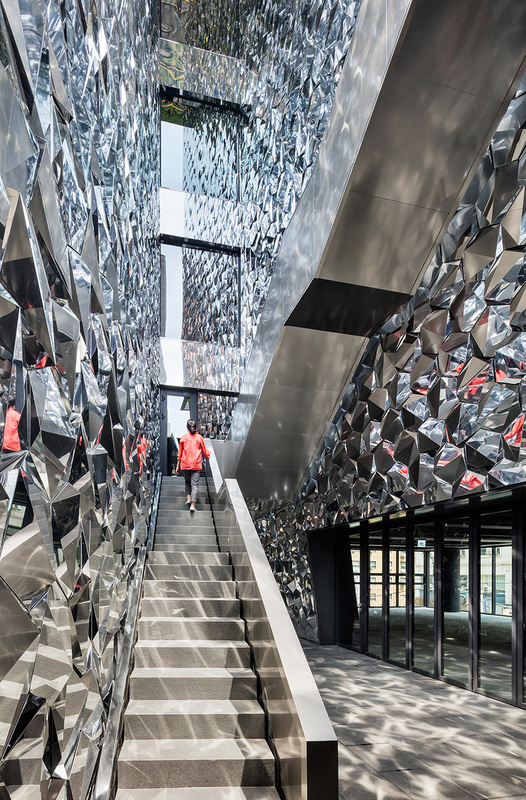 emphasizing the segmented form of the structure, the mirror facets and the dark concrete also maximize the sense of space through the strong contrast of materials and colors. 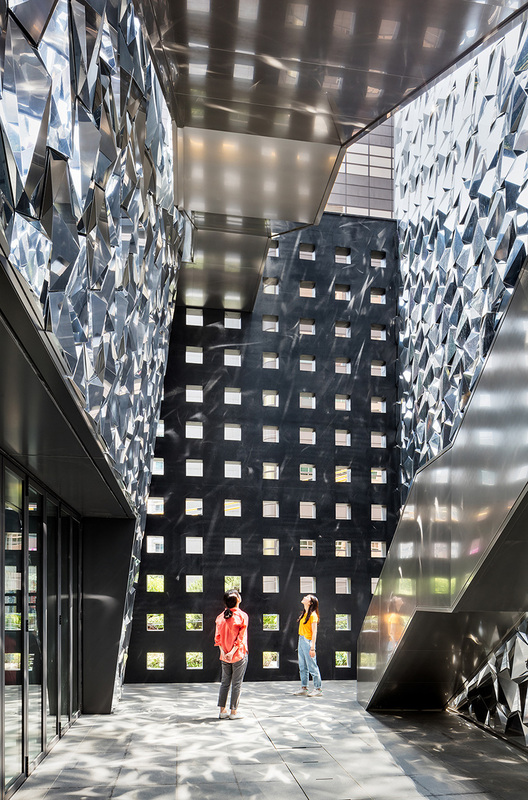 in addition, the panels assign a strong identity to the building as a welcoming space in the midst of a ‘dull city’.